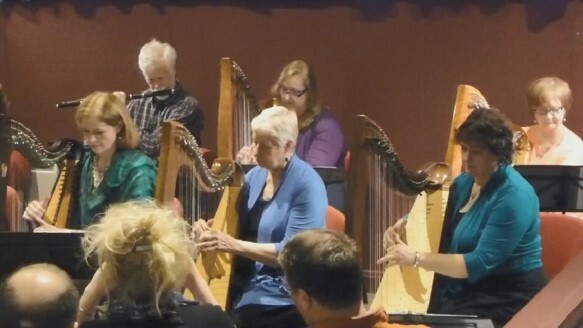 A group of musicians who have played for royalty and world leaders will bring a Moray landmark to life for a charity concert. World-renowned Harpa, an ensemble of harpists from across the USA, will return to the Forres Tolbooth on May 11. The group last played at the historic site in 2015 to a sell-out audience, and will return again to raise cash for the Forres Heritage Trust. Bob James, from the trust, said: “To have these world-renowned performers, specialists in their field, play for us once was enough of a coup the first time, but to secure them again for a second performance has blown me away. The ensemble is made up of Sue Richards, Therese Honey, Beth Kolle and Jennifer Narkevicius, Martha Hill and Donna Bennett. Ms Richards is an internationally-known performer and has played twice for Bill Clinton, George Bush and the Queen, while Ms Kolle is a leading proponent of Nordic and Celtic music. Tickets are available from Eventbrite by searching for Harpa.